First claiming that new mining bill SB1 protects the environment, and then admitting that it actually allows mining companies to pollute without consequence, Sen. Tom Tiffany stepped up to take responsibility for spearheading what could become one of the worst long-term environmental and economic disasters in history of the State of Wisconsin. 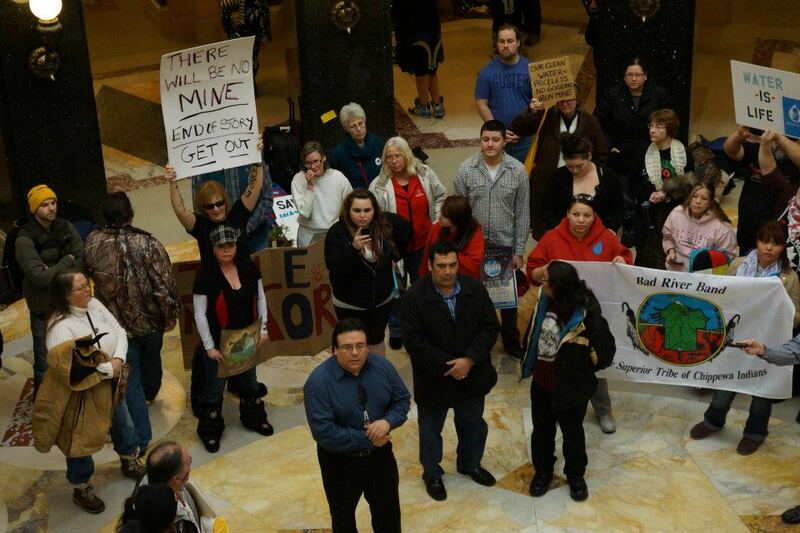 On February 27, Tea Party Republicans ignored overwhelming public outcry, abundant scientific evidence of the environmental and economic risks, violations of Federal Treaty Rights, the Public Trust Doctrine, and a coalition of elected officials from the Lake Superior Basin opposing the mine to pass SB1 out of the Senate. After tabling all 18 amendments offered by the Democrats, it’s now headed for a final vote in the Assembly on March 7. 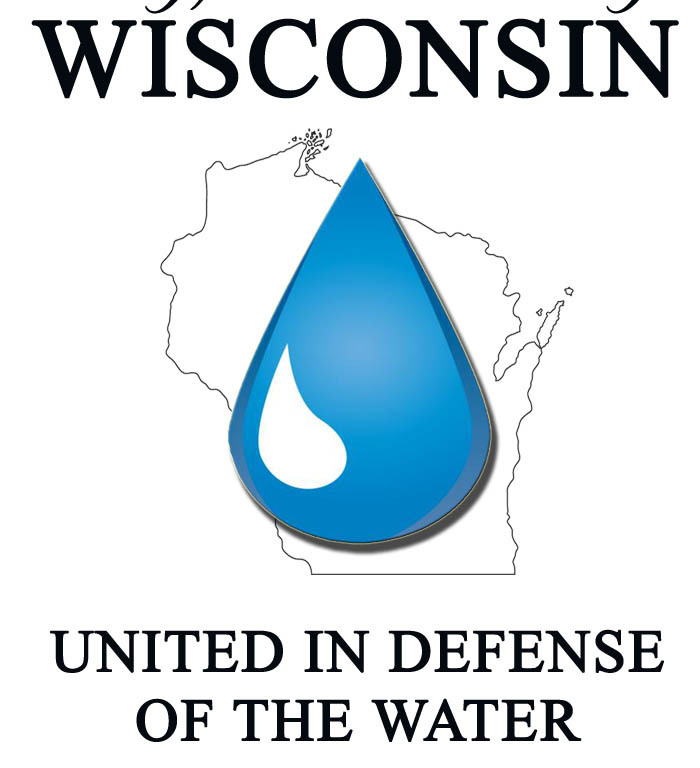 On February 21, 2013, a contingent of elected officials from the Lake Superior Basin traveled to Madison to hold a press conference addressing the misconceptions the professional press has been perpetrating about the economic and environmental concerns of the area. Their message was clear: The towns, cities and counties of the Lake Superior Basin stand united in defense of the water. 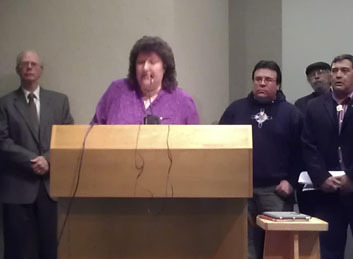 Red Cliff Tribal Chair Rose Gumoe-Soulier addressing the press conference in Ashland. On February 25, officials from the Red Cliff and Bad River Bands of Lake Superior Chippewa, Lac Court Oreille, Bayfield, Washburn, La Pointe, and Ashland held a second press conference at the Northern Great Lakes Visitor Center. They reiterated their strong opposition to the bill, which, if allowed to become law, would do irreparable damage to the waters of the entire state and remove control from local governments. In light of Tiffany’s admission that the new law presumes that mining companies will pollute without consequence, Lake Superior communities have been coming together in emergency sessions to offer increasing resistance to a bill written by and for the mining company that exposes the entire region to economic and environmental degradation. Last week, the town board of La Pointe on Madeline Island met and passed a second, more powerful “No Mining Resolution” in addition to the first that was passed in January 2012. Ashland City Council called a special session on February 26, 2013 and after listening to public comments, unanimously passed a resolution that requires any mining legislation to abide by the city’s demands, which include preserving local control and consultation with the tribes, among other terms. Mayor Larry McDonald will present a mining resolution to Bayfield City Council on March 11 almost identical to Ashland’s. Also on Wednesday, March 6, Sen. Glenn Grothmann (R-) will introduce SB2, which eliminates the 10-day waiting period for publishing bills by the Secretary of State. This means as soon as the Assembly passes the bill on March 7, it could become law on March 8. The city of Ashland and the Bayfield Ciity Council are passing resolutions against mining. What is going on with Ashland County and Iron County? Oneida County has passed a resolution that, I understand, eliminates the building of a mine in the county. It would be great if Ashland and Iron Counties would do that.